Planning: Formal or informal activities? Plan Activities / Sponsor Events: 10 great ideas! Order Now! Start getting your running/jogging/walking group together today. Add your club or group now - FREE! Real world examples of successful clubs! Within each chapter, you'll find true stories of what individuals or groups have done to bring in new people or increase participation of members. 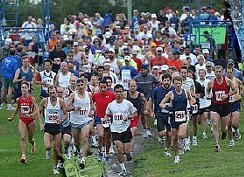 Also included will be suggestions by leaders of the running community on how to successfully stage events to attract community interest. Submit your comments for publishing! I seek assistance from anyone in the running community who can add suggestions, examples or anecdotes for this project. 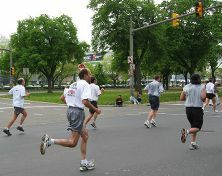 Help fellow runners and novices find others who share their goals of running, jogging or walking. You will be rewarded with your name or website listed in the eBook, as well as the satisfaction of helping others find the fitness and enjoyment they seek!